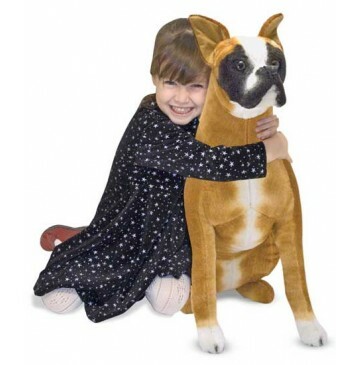 Melissa & Doug Boxer, It's easy to fall in love with this huggable boxer. 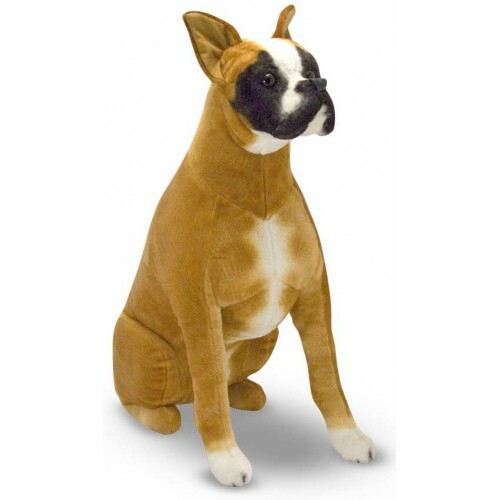 With excellent quality construction and attention to lifelike details, the facial markings show this is a dog of distinction! Bring home a friend to adore, or make an impressive statement in your bedroom. These soft, cuddly, premium quality plush animals have beautiful features. Cute expressions and are incredibly priced. The soft, lovable textures and remarkable prices make these animals friends perfect for play or display. Makes a wonderful accent for your child's room plus it's perfect for use in daycares, pre-schools, schools and doctor's offices.